By 1963, Hadge Clarke became popularly known as Allan. Graham Nash shrewdly observed, “Harold is not a rock’n’roll name.” On April 3rd 1963, two days before Clarke’s 21st birthday, The Hollies were signed to Parlophone Records by producer Ron Richards. After a couple of minor hits, they scored their first major hit with “Stay”. They performed this song on the inaugural Top Of The Pops (which was filmed on Dickenson Road in Rusholme) on New Years Day 1964, alongside Dusty Springfield and The Rolling Stones. Three weeks after that appearance on Top Of the Pops, they released Just One Look, an insanely catchy song originally done by Doris Troy, which reached number two. The Hollies by this time consisted of Clarke, Nash and they also had Tony Hicks on lead guitar, Bernie Calvert on bass and Bobby Elliot on drums. Allan Clarke spent as much time as humanly possible in Salford with his wife Jeni and Graham Nash, bought his mother (Mary) The Unicorn pub on Broughton Road in Pendleton. However with the increasing success, this meant that as per the obligation for ambitious bands at that time, The Hollies based themselves in London. They relentlessly recorded hit singles, radio shows and performed concerts up and down the UK at a rate that would have today’s pop stars running for the Priory after a month. As the novelty of Northern pop bands wore off on a ruthlessly fickle public, The Hollies actually saw an increase in popularity. In May 1965, they scored their first UK number one with I’m Alive. 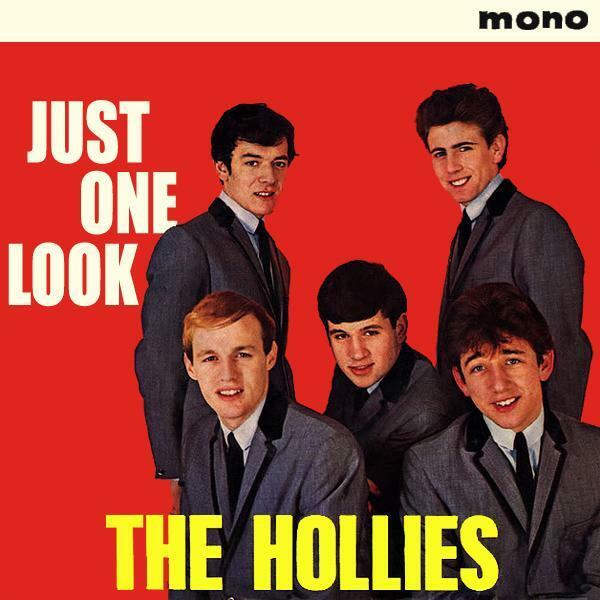 This was the beginning of the first golden period for The Hollies. Their next song Look Through Any Window was written by an eighteen year old Broughton lad called Graham Gouldman (who himself would go on to achieve a very successful career). This song marked the bands first significant appearance in the American charts, reaching 32 on the Billboard 100. The next hit The Hollies had, in February 1966 is in the opinion of this writer, their best ever song. I Can’t Let Go composed by Chip Taylor (who also wrote the more famous Wild Thing by The Troggs), which reached number two in the UK charts. Following that success, another Graham Gouldman song, Bus Stop, got The Hollies into the much coveted Billboard top 10. In 1967, The Hollies released On a Carousel and Carrie Anne, two more infectiously catchy songs and the latter uniquely had a steel drum solo. After this, the band indulged in an ill-advised foray into psychedelia. They released the excellent, mostly Nash composed King Midas In Reverse in September but it was a commercial failure. While the song was excellent, the accompanying album Butterfly was mediocre at best. After this chastening and much to Nash’s chagrin, The Hollies returned to the older method of making catchy but innocent music and this caused disharmony in this famously harmonius band. The Hollies, rejected another Nash song, Marrakesh Express and worse to Nash’s eyes, they recorded the catchy but inane Jennifer Eccles. The song’s title was a combination of the first name of Clarke’s wife and the maiden name of Nash’s first wife Rose. Nash’s first wife also came from Ordsall. Archie Swift said “Now she Rose Eccles, whoa you should’ve seen her! Talk about stop a bus? She’s walking down Regent Road, she’s got a short skirt on, knee length leather boots, a French hat and she’s pretty well built to say the least. The bus driver is going down Regent Road towards the docks and he crashed the bus looking at her. The best of it is that his bosses never did owt to him!” While Graham Nash’s first wife clearly had plenty of admirers, they had grown apart. 1968 was to be a seismic year for Nash, he left his wife, his band and his country. A band decision to record an album of Bob Dylan covers was what tipped Nash over. In September 1968, The Hollies released another brilliant single Listen To Me but while Nash gave a typically stellar performance, his heart wasn’t in it. He said “I’m done with England and I need to move”. Graham Nash played his final show with The Hollies at the London Palladium on December 8th. Nash went on to form the phenomenally successful Crosby, Stills & Nash with David Crosby from The Byrds and Stephen Stills from Buffalo Springfield. Crosby, Stills & Nash, despite the status of its members, still had teething problems. They were rejected by Simon & Garfunkel and also by George Harrison for Apple records, a decision that beautifully sums up the whole mess The Beatles had got themselves into at the time. Their eponymous debut was released to great commercial and critical success in May 1969. A success that only compounded the shambles that Apple records was. In August 1969, Crosby, Stills & Nash, along with Stephen Stills old bandmate Neil Young, played a one hour show at the legendary Woodstock festival, a set that commenced at three o’clock in the morning. While Crosby Stills, Nash & Young sang Carry On, The Hollies sans Nash, carried on playing Carrie Anne. The Hollies actually went onto have some of the biggest success of their career. In September 1969, they released possibly their most famous song (He Ain’t Heavy) He’s My Brother, featuring a young Elton John on piano, and achieved a number three chart placing. In 1970, they released the magnificent kitchen sink drama that was Gasoline Alley Bred, a song which could have been the script to a Shelagh Delaney film. They also released an album, that in the opinion of this writer is their best ever, Confessions Of The Mind. In 1974, they released another worldwide smash hit The Air That I Breathe, a song that was partially composed by Albert Louis Hammond, father of The Strokes’ guitarist Albert Hammond Jr.
Crosby, Stills & Nash concluded a North American tour in October 2014. 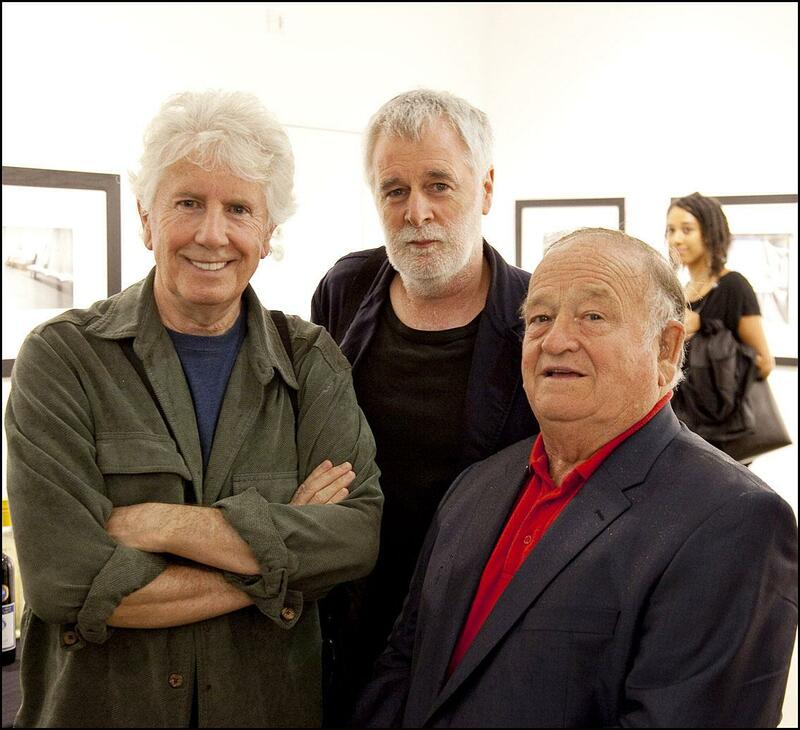 Graham Nash said in July that he has twenty five new songs to record and he’s hoping to record them this year with David Crosby and Stephen Stills. The last time Crosby, Stills & Nash were in Manchester was in October 2013. Nash made it clear to the audience how pleased he was to be “back home”, before dedicating his seminal song Our House to his sister (Elaine) in the audience. That song was written in Laurel Canyon with Joni Mitchell as his muse, but listening to its lyrics, the song could easily be as much about Ordsall as it could be about Los Angeles. The Hollies are still a working band to this day with original members Bobby Elliot and Tony Hicks still in the ensemble. As a celebration of their 50th anniversary, they extensively toured the UK in the latter half of last year yet perversely, didn’t play Manchester or Salford. After Graham Nash left in 1968, he temporarily rejoined the band in 1983 for a tour of the United States and the release of a new single, a cover of the Holland-Dozier-Holland classic, Stop In The Name Of Love. Allan Clarke retired from singing in 1999, partially due to the declining health of his wife and also, as he explained to Steve Wright, he couldn’t hit the high notes anymore but in recent times, he has been writing lyrics for Carla Olson. They did alright though, those two lads from Ordsall. 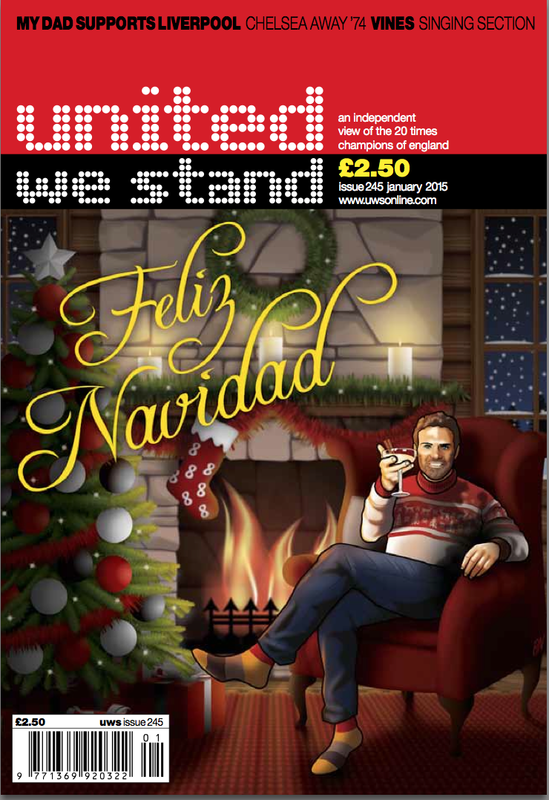 Proper good read. Thanks, Anthony. What a great piece, you seem to be a fan Anthony, I thought I would let you know that I particularly enjoyed the bit from the the Albert hall, it was good to see Allan Clarke again. I was actually there that night as I am most nights when C.S.N. are in England, avid fan? Well yes, but and I have to be honest, Graham is my brother of whom I couldn’t be more proud. So thanks for the article and keep up the good work. A great read about an absolutely wonderful band. Never in the history of British pop has someone walked away from such a wonderful band on the slightest intuition that there might be a brighter future across the ocean. I mean, really, who leaves the Hollies? Well-written, accessible, detailed description on Graham Nash’s formative years. As an avid Allan Clarke and Hollies fan, and a former foreign exchange student at University of Manchester, I loved reading such specific locations of their (and some of my) old haunts. Thank you for mentioning Jason Barnard’s fabulous podcast interviews with Allan Clarke. He was fortunate enough to speak with Mr. Clarke for two hours and skilled enough to use that time to reveal many interesting Hollies facts. The interview that Allan Clarke did with Jason Barnard was a massive help. It was a goldmine of information from a man who rarely who gives interviews and I would’ve struggled writing this without the quotes within it. Love the Hollies. I worked with Graham many years ago at Great Universal stores. The group was called the fourtones then. I remember him telling me his friend had met Elvis in Germany and he showed me a pic as I didn’t believe him. Thanks for that Dot. I never knew he worked at GUS. Which one was it? The depot/office on Devonshire Street in Ardwick? I worked there myself many a haircut ago. Great read, very interesting. I didn’t realise the guys lived in Ordsall. I’m also Ordsall, born and bred.